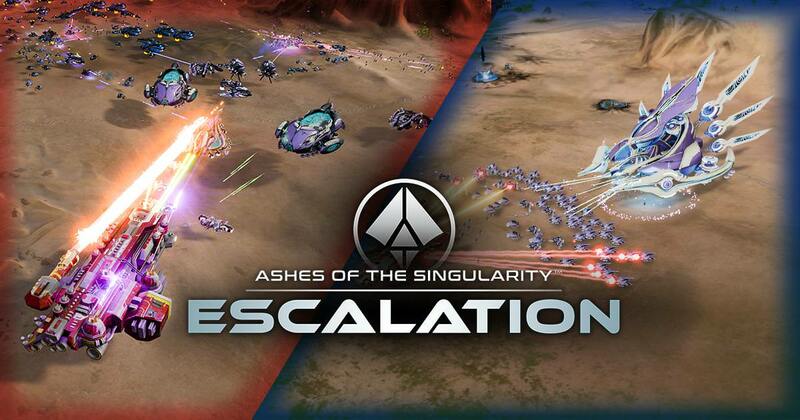 Ashes of the Singularity: Escalation embarked on a remarkable journey throughout 2017 to get to where it is now. It's something I am very proud of. In a previous Dev Journal I mentioned how I often get nostalgic thinking back to all of the old silly quirks and overpowered stuff, so I thought that'd be something worth writing about. Today, I'll be mapping out and reflecting upon the immense progress we have made and provide some insight about my intentions along the way. My first experience with Ashes was way back in November 2015 when I played the beta and wrote my impressions. Aside from that, A year later, I got in touch with Stardock for the release of Escalation, initially just for the purposes of sponsoring my channel. Shortly after, I joined on for "Design Consultancy" of Escalation. I was spending lots of time rapidly learning the game and this put me in the ideal position to offer feedback since I was entering through the lens of a new player confronted with all the hurdles that anyone else new to the game would also encounter. Before my time with it, Ashes didn't get the attention it needed and deserved, as the previous lead designer was jumping around to other projects and doing everything else that being a CEO of a company entails. There was a lot to criticize, and a lot that needed to be set right. Escalation shipped in November of 2016, but I only started working on it in January 2017, so that's where I'll be beginning. My first couple of months playing Escalation were characterized by confusion; Ashes was not at all intuitive and I didn't understand the role of units. I didn't understand what was good against what, which defenses I should build, and so on. Picking up a new RTS game always involves lots of learning, but there are ways RTSes can speed up this process and make it more gentle for a new player. In the age of Steam being so flooded and with gamers having an overwhelming choice, the first impression matters more than ever. Players will often pick up games for cheap during a Steam sale, and if they're not hooked in the first couple of hours, they'll shelve it for one of the other 10 games they bought for cheap. It's difficult for RTS to land a good first impression due to the delayed gratification compared to other genres, but it was clear to me the first impression and accessibility of Ashes to new players was a huge weakness. My first half of January was investigating and articulating how I could make Ashes more intuitive and user friendly by picking apart the things that annoyed me and that I thought were odd when I began playing. I started at the first possible thing: the mess of the main menu. The names were confusing or misleading, the ordering didn't make sense, and the misaligned text was an embarrassing. "What does Ascendancy Wars mean?" 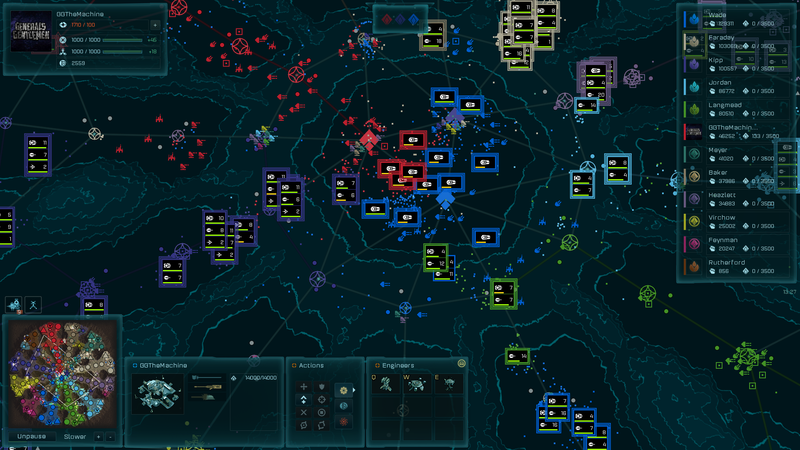 Many other factors such as Extractor visibility, unit tooltips, grid locations, and map options made picking up the game more difficult than it needed to be. "What does an Assault Cruiser do? What is it strong against?" January's 2.1 update saw the release of the main menu rework, observer mode for single player, and the first of my map changes aimed at improving those which had balance problems or just weren't fun to play on. Most of the accessibility issues documented in January took some time to develop and wouldn't be implemented until later. 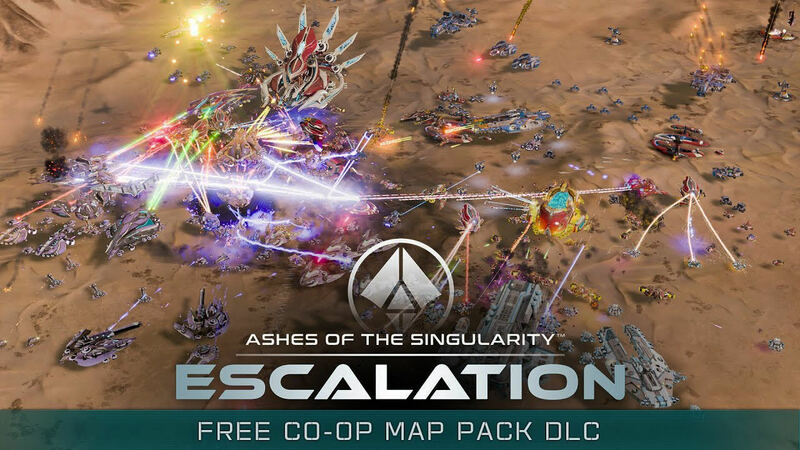 February saw a pivotal decision for the direction of the franchise: the Merging of the Singularity We discontinued the base Ashes of the Singularity (now referred to as AotS: Classic) and everyone who owned it received a free copy of Escalation. To compensate players who paid for Escalation, the rest of the year would involve several free DLCs. This allowed us to combine player bases, focus all of our developer effort on Escalation, and ensure all new players had a better experience with Escalation. Giving away so many copies, and later, free DLC, was a huge decision that would have hit our profits for the year, but it epitomizes a big part of why I love working for Stardock. We're an independent company - there's no publisher stepping on our toes, so we're free to make decisions that keep our customers happy and make sense in the long term. February didn't contain an update but we were very busy working on the many changes that would later be released in March. Towards the end of January, I assembled a community balance team of high level players, as I was newer to the game and didn't have enough experience to be aware of the balance issues. Throughout February I learned how to make gameplay changes and created a balance mod, which we used for testing. The balance mod that would later become 2.2 went through several iterations. Almost every unit tooltip in the game was rewritten to specify the role of each unit. For example, instead of "Assault Cruiser" the Athena's tooltip is now "Cruiser destroyer. Strong versus other cruisers." 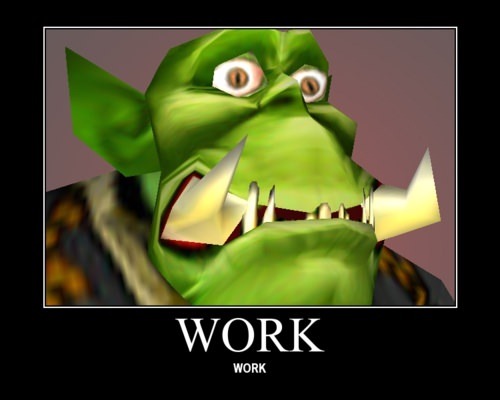 Standardization of grid locations, Extractor visibility, and other quality of life changes. 2.2 was the first update to include an update overview video, which has become a standard for all our major updates. There were so many changes that I wanted something a bit more digestible for players to view instead of having to read a monolith of text. April saw the release of the Inception DLC featuring 2 new scenarios and 3 new maps. We were busy working on many other things at the time, but they wouldn't see light until later. The 2.25 update hit and it contained another vast set of gameplay changes, which began to realize the vision I had for the game. 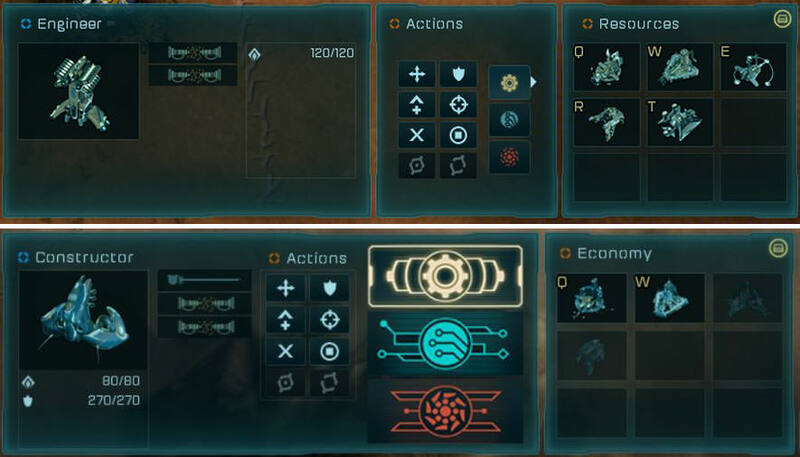 Rather than just re-balancing individual units and structures, it reworked entire sections of the unit design and resource system in order to add strategic depth and diversity. The days of just mindlessly spamming Athenas/Maulers each game were over; each unit now had a proper counter and many changes culminated to make the game flow better. With the launch of 2.25, Ashes hit an important milestone for me: it went from a game that I would play because it was my job, to a game which I would play for fun in my own spare time and that I would recommend to friends. The 2.3 update launched and it was our biggest ever content update - all for free! Players gained access to Juggernauts, tier 4 game-ending epic units which make the late game more interesting and build more anticipation. The PHC Leonidas and Substrate Nest of the Queen were the first of our Juggernauts, but they wouldn't be the last. The story-driven campaign continued with Genesis, which was our toughest campaign at the time. Quality over quantity was the design philosophy for Genesis, which featured less missions than the previous campaigns, but each had more complexity and challenge, as it was designed for advanced players who have already completed others. In preparation for Genesis, the original Imminent Crisis campaign received an update for compatibility with Escalation and to improve how it played. July saw no updates, but we were flat out working on stuff for the big 2.4 update coming the next month, and beyond. During July I hit 1000 hours on Steam for Escalation! The 2.4 update launched, headlining support for Vulkan, a graphics rendering API alternative to DirectX that can deliver improved performance for gamers on Windows 7 and 8. 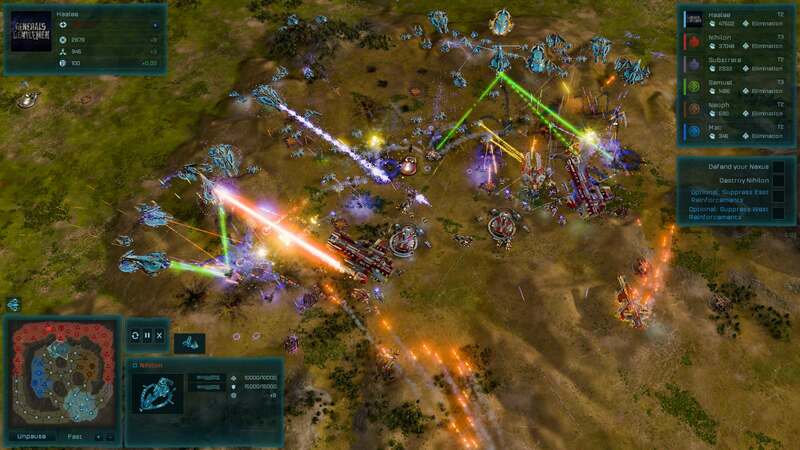 Ashes of the Singularity: Escalation was one the first games to offer support for DirectX 12, and its support for Vulkan was a continuation of Stardock's commitment to bringing cutting edge technology and performance to gamers. 2.4 also featured additional improvements to the menus, quality of life, and interface, including updated art for many of our Orbital Abilities to improve their look and visual intuitiveness. The campaigns were further improved alongside several scenarios, balance changes, and a rework of air units. Alongside 2.4 was the launch of the free co-op map pack DLC, delivering 8 maps designed for cooperative play between friends. Spawn points were placed to keep teammates close together to allow for combined attacks and strategies. Clearly defined resources for each player prevented any fighting over spawn locations or expansion opportunities and kept the maps fair and balanced for everyone. Two new Juggernauts were released for free: the PHC Agamemnon and the Substrate Eye of Darkness. Designed to complement our existing Juggernauts, each has a unique role to fill with its own strengths and weaknesses. These two Juggernauts were the first units I designed from scratch; it was so cool seeing them progress every step along the way. The 2.5 Update made the life of modders much easier as we updated all the obsolete internal reference names to reflect their current display names and tidied up a number of configuration files. Alongside many minor gameplay improvements, sight and radar was overhauled with most units having their sight range doubled and the range of radar increased to compensate. The sight range relative to size and attack range was very low compared to other RTS games; increasing sight range meant there was more interaction and maneuvering between players as they had time to see enemies approaching and disengage if a fight wasn't favorable. October was another month that saw no update, as our work went into the upcoming 2.6 update. It was clear to me very early on that our existing tutorial was bad and needed an update, but I knew doing so was such a large project that'd take me multiple months. So, there it sat until July before I began to work on it. With the retirement of our old tutorial and its replacement by the new basic and advanced tutorial, I finally completed my goal of making Ashes as welcoming to new players as I could. The new tutorials are more fun with so much more explained, yet are more concise and shorter to complete. The old tutorial would fail you for doing too much too soon, while the new basic tutorial rewards you with hidden dialog and objectives if you venture out. There's even a hidden Easter egg, which as far as I'm aware, no one has yet discovered. Just as much as teaching the player, the basic tutorial is intended to excite the player to experience the game, and leave a positive impression for that crucial 1-2 hour window. The advanced tutorial then explains more complicated concepts such as economic management and using Charons to reinforce your army - there's no information left out. The new tutorials seemed to work; we did notice a drop in the refund rate after they were released. Since I voiced the tutorial, it means I'll easily be able to update them if we need to include new concepts such as Air Transports. Aside from the new tutorials, the 2.6 update contained the Nexus Health Quantum Upgrade to create counter-play against late game Nexus sniping, many quality of life changes, and a rework of the UI. The old unit panel had lots of wasted space as it inefficiently spread out information. The UI was changed to more tightly pack the unit actions together with the rest of the unit panel, and then used that gained space to increase the size of the panel icons and replace their art with something much more snazzy. The 2.65 Update included a number of improvements to the campaigns, fixed some map issues and bugs, and greatly improved the appearance and layout of the Benchmark screen. The Secret Missions DLC launched, featuring two new Frigates: the PHC Atlas and the Substrate Tormentor. The DLC also expanded the flexibility of frigate strategies for the PHC with their new anti-air frigate, and provided Substrate with long range anti-unit indirect fire from their artillery frigate. Eight new scenarios test a player's flexibility as they cover a range of unique challenges, such as having to build up in time to defend against the Experimental Eye of Darkness, or playing with Overcharged Orbital Relays that grant enormous amounts of Quanta income on a map starved of resources. The "Fun Gimmick" is a design philosophy for single player content that I think makes campaigns the most interesting; for examples, you could look at the StarCraft 2 Wings of Liberty Campaign or the Generals Challenges from C&C Zero Hour. We already have so much single player content in our existing campaigns and scenarios, so I wanted to make something that really stood out. The advantage of making standalone scenarios compared to campaigns is it gives more freedom to just do wacky stuff and not have to worry about how to continues onto another mission. It also means I don't have to think about how I am going to tell a story and advance a plot, I can just focus on "You know what would be fun... the feeling of terror when a ridiculously overpowered Experimental unit murders 3 of the player's Juggernauts." I ended up reusing the Experimental Eye of Darkness in the King of the Hill scenario, which players will see if they manage to survive that long. Lastly, Secret Missions also contained eight new maps for Skirmish and Multiplayer, including balanced symmetrical 5v5, 6v6, and 7v7 maps for those who like huge battles. It always bothered me the only maps for large team games had weird spawn locations where some are closer to the enemies than the other; having unfair spawns can be frustrating if you're the guy who gets rushed first while everyone else is sitting back safely. Players now have the option to play whatever game mode they want with a more standard map layout. The Air Marauder weapon audio was very lackluster, and finally in the 2.7 update we got it replaced with a new and improved pew pew! The 2.71 update launched, with its most notable feature being an audio re-balance. There were many issues with the volume of weapon effects; some weapons were too loud or quiet, while many secondary weapons on Dreadnoughts were just as loud as the primary weapon. We re-balanced many of the weapon effects to ensure volume levels were more consistent and better reflect the potency of the weapon type. 2.71 also includes additional improvements to scenarios and campaign missions, and minor balance changes. At this point, almost every campaign mission and scenario in the game has been updated during Escalation's life. And here we are today! It's been a crazy but fun journey, thanks so much to everyone who has been here along the way. The direction of Escalation in 2017 was driven by a desire to make it as accessible and welcoming to new players as possible while increasing the strategic depth, refining the role of each unit, improving the single player experience and streamlining the flow of the game. How do you think we have done? Let us know what you think and if you have suggestions for what you'd like me to discuss in future.